Paul Ajosshi: A Bigger Better "What The Book?" UPDATE: Thanks to @stevenward on twitter, I can now tell you the opening date is fixed for July 7th. If, like me, you find yourself spending a sizeable part of your paycheck on books then you'll be pleased to know that What the Book? is moving to a bigger and hopefully better location! 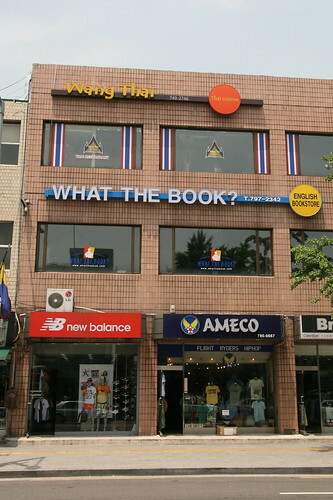 You can find it by coming out of exit 1 of Itaewon station, head toward Noksapyeong and you'll find it just past Burger King on the right hand side.